Joseph Ennemoser (1787-1854) was an Tyrolean doctor and scientist, noted for his use of magnetism and hypnosis. He was a forerunner of Freud in his belief in the connection between the mind and physical health, and his interest in psychology led to investigations into the paranormal and magic. He became well known for his presentations about magic, delusions and apparently supernatural occurrences. He suggested that most of these phenomena appeared miraculous only because of a lack of understanding of the laws of nature. 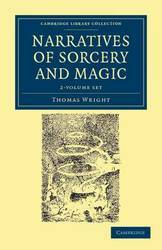 The History of Magic was published in Leipzig in 1844, and translated into English in 1854 by William Howitt, a leading Spiritualist writer. The editor, his wife Mary, added a collection of supernatural and psychical occurrences, which illustrate the topics dealt with by Ennemoser. Under the terms of the will of the Oxford scholar Francis Henry, Earl of Bridgewater (1756-1829), Fellow of the Royal Society, absentee rector and keen manuscript-collector, a series of books was commissioned, designed to contribute to an understanding of the world as created by God. In 1834 Peter Roget, who was at the time compiling his celebrated Thesaurus, contributed a two-volume treatise to that controversial series, which formed part of the complex intellectual background to Darwin's work on evolution. 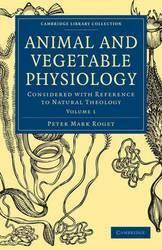 Roget described, in a manner designed to appeal to a wide audience, the variety and complexity of the plant and animal kingdoms, focussing on mechanics in the first volume and physiology in the second. The interconnected functions of individual plants and animals are seen as proving God's design. The arguments found here resonate with debates that continue today, as well as providing source material for historians of science. Richard Cobden (1804-65) was the leading liberal thinker of his generation, and it was primarily through his efforts that the Corn Laws were repealed and that classical liberalism became the dominant political theory of the United Kingdom for over half a century. His first pamphlet was published in 1835 and his last in 1862. This collection was published two years after his death, and was regularly reprinted on both sides of the Atlantic well into the twentieth century. Volume 1 includes Cobden's first two pamphlets, England, Ireland and America and Russia, which argue that British foreign policy benefited only the 'establishment' whilst the people were forced, through excessive taxation, to finance military adventures. 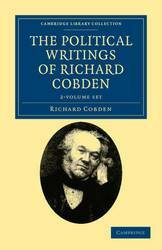 Volume 2 contains Cobden's later writings. With a background of war in the Crimea and the United States, his emphasis shifts from advocating free trade to the need to promote international treaties and co-operation. 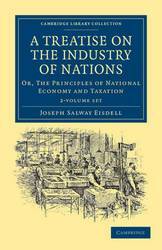 In this two-volume work, originally published in 1839, the relatively unknown Joseph Salway Eisdell (1791-1876) explores the political economy of 1830s Britain from a different standpoint from that of many of his contemporaries. Influenced by Adam Smith and Michael Thomas Sadler, and in concordance with his contemporary, Irish economist Mountifort Longfield (1802-84), Eisdell's focus on 'fiscal sociology' places emphasis on industrial workers and the significance of human nature in economics. He reassesses economic and population trends by rejecting the (until then) well-regarded Malthusian principles. In many ways this work is a reflection of 1830s Victorian society, which was experiencing massive shifts towards industrialisation, urbanisation and modernisation, with accompanying political changes. Eisdell's later work, An Essay on the Causes and Remedies of Poverty (1852) demonstrates his continued enthusiasm for fiscal sociology. Ukrainian-born Madame Helena Blavatsky (1831-91) was a powerful member of the spiritualist world and for a time famous for her powers as a medium. She was a co-founder of the theosophy movement in the United States, which she later extended to Europe and India, drawing from her extensive global travels and her familiarity with a broad range of belief systems, from Asian religions to New Orleans voodoo, as well as secret societies such as the Freemasons. Drawing from Hinduism and Buddhism, theosophy aimed to understand the mystic powers of the universe and promote the study of other religions. Though many denounced her as a fraud, her writings provide an insight into the driving forces behind nineteenth-century spiritualist movements. 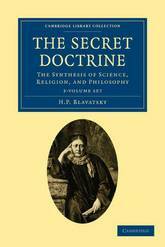 In The Secret Doctrine, published in 1888, Blavatsky aims to explain the spiritual origins of the world. 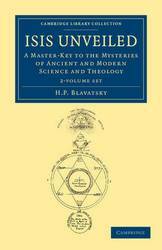 In 1897 a third volume was edited by Annie Besant from Blavatsky's notes. The English historian and antiquary Thomas Wright (1810-70) co-founded and joined a number of antiquarian and literary societies. He was greatly interested in Old English, Middle English and Anglo-Norman texts, and in the 1840s and 1850s he published widely within these areas. Gradually his focus shifted to the archaeology of Roman Britain and to Anglo-Saxon cemeteries. Although much of Wright's research has been completely superseded, his work is still considered worth consulting, as he collected material not readily available elsewhere. This 1851 publication is testimony to Wright's interest in folklore, sorcery and legend. Volume 1 deals with European sorcery, and sixteenth-century English characters such as Dr John Dee; it also examines the legend of Dr Faustus. Volume 2 surveys the seventeenth century, and includes such important instances as the alleged demonic possession of the Ursuline nuns of Loudun, and the witchcraft hysteria which led to the Salem Witch Trials. Sir David Brewster (1781-1868) was a Scottish physicist, mathematician, astronomer, inventor, and writer of international reputation. His biography of Sir Isaac Newton, published in 1855 and reissued in 1860, was the result of over twenty years' research, undertaken while publishing hundreds of scientific papers of his own. Brewster made use of previously unknown correspondence by Newton, and his own scientific interests, particularly in optics, meant that he was able to understand and explain Newton's work. 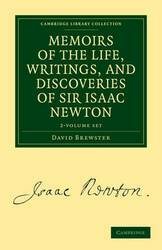 It covered the many facets of Newton's personality and work, remaining the best available study of Newton for over a century. Brewster reveals much about the science of his own time in his handling of earlier centuries, and as a cleric was obviously uncomfortable about the evidence of Newton's unorthodox religious views and alchemical studies. 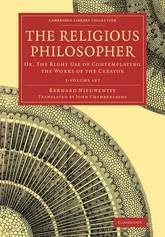 Originally published in Dutch in 1715, this two-volume work by the philosopher and theologian Bernard Nieuwentyt (1654-1718) is reissued here in the 1724 third edition of the English translation by John Chamberlayne (1668/9-1723). The book seeks to persuade both Christians and atheists that scientific examination of the natural world is compatible with religious belief. According to Chamberlayne, Nieuwentyt published this illustrated work to 'magnify the Wisdom and Goodness of God' while challenging those who did not see proof of the divine in nature. 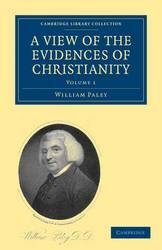 The work is known to have influenced the natural theology of the English philosopher William Paley (1743-1805), whose famous analogy of the watchmaker is believed to have been taken directly from Nieuwentyt. Arguing against the rationalist philosophy of Spinoza, Volume 1 defends natural theology and presents a series of detailed empirical 'contemplations' which are then continued in Volume 2. 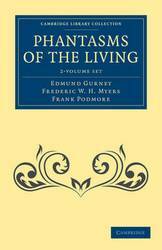 This two-volume work, co-authored by Edmund Gurney (1847-1888), Frederic W. H. Myers (1843-1901) and Frank Podmore (1856-1910), all leading members of the Society for Psychical Research, was first published in 1886. It documents over 700 case studies of ghost-seeing, and aimed to revolutionise thinking about ghosts by proposing a theory that explained ghost-seeing through the idea of telepathy. Volume 1 focuses on hypnotism, the telepathic transference of ideas, mental pictures and emotional impressions, dreams, and hallucinations, and contains an impressive essay by Gurney on the history of witchcraft. Volume 2 covers auditory, visual, reciprocal, and collective hallucinations. This pioneering study, full of interesting anecdotes, is an indispensable source for the history of psychical research. It provides detailed insights into the Victorian fascination with the occult and the supernatural, and is still the most extensive collection of ghost-seeing accounts available. 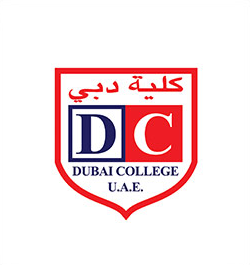 The Scottish writer Sir Arthur Conan Doyle (1859-1930) is best known for his creation of the character Sherlock Holmes. 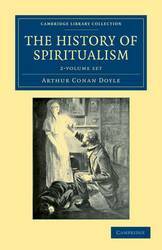 Trained as a medical doctor, Doyle - like many Victorian intellectuals - became fascinated by spiritualism and its promise of communication with the afterlife. Doyle was a firm believer in the movement, claiming as evidence 'sign[s] of a purposeful and organized invasion' from the spirit world. In 1926, towards the end of his life, he published this influential two-volume history. Volume 1 covers the background and origins of Victorian spiritualism, and focuses on key individuals including D. D. Home. It also reports on several scientific investigations of spiritualist phenomena. Volume 2 discusses celebrated mediums from 1870 to World War I, and topics including 'ectoplasm' and 'spirit photography'. The History provides valuable insights into Victorian and early twentieth-century culture and the controversies generated by spiritualism at that time. This two-volume set by the philosopher and theologian William Paley, published in 1794, was considered so important that it was required reading for Cambridge students (including Charles Darwin) well into the nineteenth century. This classic work of apologetics discusses the primary and secondary historical evidence for Christianity, the miracles of Jesus Christ, the candour of the New Testament writers, the differences between Islam and Christianity, and popular objections to the truth of Christianity. Paley's intellectual defence of Christianity was one of the most popular of his day, and as such was central to the debates on evolution, science and religion of the Victorian period. His work anticipates parts of the contemporary theory of intelligent design, and is of interest to historians of theology, philosophy and science. Eneas Sweetland (E. S.) Dallas (1828-1879) was a journalist who worked for The Times among other publications and whose interest in psychology and love of poetry led to his writing the two-volume - though he originally intended four - The Gay Science, published in 1866. The work takes its title from an expression used by Provencal troubadours to describe the art of composing poetry, and the volumes are concerned with the unclear and often shifting boundaries between art and science and whether they can be reconciled. John W. Edmonds (1799-1874), a prominent New York judge, and George T. Dexter, a New York physician, met though their shared interest in the spirit world. They were both dabbling in the spiritualist movement - first with scepticism - and decided to join forces in their investigations of such phenomena as 'spirit-rappings'. Dexter eventually found himself 'fully developed as a writing medium', with his pen controlled by unseen forces. Their conclusions, published in 1853 in Spiritualism, which went into numerous editions and was followed in 1855 by a second volume, caused much controversy. Drawing from their observations, the work gives examples of the authors' purported interaction with the spirit world and their journey from doubt to belief. 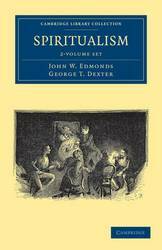 Dexter also became a 'speaking medium', and the work includes transcriptions taken by Edmonds of what the spirits relayed through his co-author during the meetings of their circle of spiritualists. This six-volume set brings together an exhaustive survey of thousands of contemporary files; official reports and original consultations; proceedings of foreign, political, revenue, and judicial departments; published state papers; intelligence reports; parliamentary papers and debates; contemporary Urdu and English newspapers and periodicals; published diaries and memoirs of officers; and published contemporary works in Persian, Arabic, Urdu, Bengali, Marathi, and English. 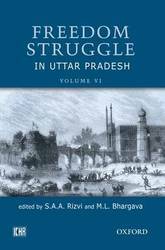 Together they provide a very detailed and comprehensive account of the freedom struggle in Uttar Pradesh, particularly the years 1857-9. S.A.A. Rizvi's annotations and editorial remarks bring a coherence and chronology to the documents. The last volume serves as a very useful index to the nature of source material. 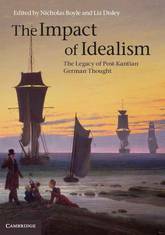 German Idealism is arguably the most influential force in philosophy over the past two hundred years. This major four-volume work is the first comprehensive survey of its impact on science, religion, sociology and the humanities, and brings together fifty-two leading scholars from across Europe and North America. Each essay discusses an idea or theme from Kant, Hegel, Schelling, Fichte, or another key figure, shows how this influenced a thinker or field of study in the subsequent two centuries, and how that influence is felt in contemporary thought. Crossing established scholarly divides, the volumes deal with fields as varied as feminism, architectural history, psychoanalysis, Christology and museum curation, and subjects as diverse as love, evolution, the public sphere, the art of Andy Warhol, the music of Palestrina, the philosophy of Husserl, the literature of Jane Austen, the political thought of fascism and the foundations of international law. Frances Power Cobbe (1822-1904) was an Irish writer, social reformer and activist best known for her contributions to Victorian feminism and women's suffrage. After the death of her father in 1857, Cobbe travelled extensively across Europe before becoming a leader-writer addressing public issues for the London newspaper The Echo in 1868. She continued to publish on the topics of feminism, social problems and theology for the rest of her life. These volumes, first published anonymously in 1855, introduced Cobbe's theistic religious beliefs, which blend a belief in Divinity with Immanuel Kant's idea of freedom of will, in which a person's moral imperative is independent of outside authority and provides proof of the existence of God. Cobbe discusses Kant's moral philosophy, explaining the religious beliefs which formed the basis for her later discussions of Christianity. This extensively illustrated two-volume treatise, published in 1835, is one of a series commissioned by the Royal Society with funds bequeathed by the Earl of Bridgewater. 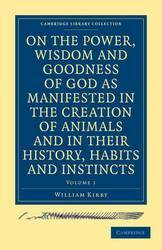 William Kirby (1759-1850), Cambridge graduate, country parson and respected entomologist, here combines the study of the word of God with that of his works, aiming to disprove Lamarck's hypothesis that all the works of creation can be attributed to second causes, rather than a first cause, i.e. God. Kirby agrees with philosophers' objections to superstitious and bigoted adherence to the letter of scripture, but questions their lack of attention to its spirit. He explores the creation of animals in a spiritual context and goes on to consider the functions and instincts of the major animal groups. Here both volumes are presented together for the reader. 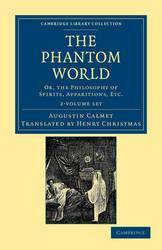 The Benedictine monk and biblical scholar Antoine Augustin Calmet (1672-1757) published this work in 1746; it was translated into English in 1850 by Henry Christmas (1811-68). 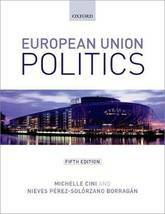 It examines a wide selection of supernatural tales and beliefs from across Europe. Taking the stance of a scientific enquirer, Calmet sought to understand the truth behind stories of good and bad angels, vampires, witchcraft, possession by demons, and the dead who come back to life. He compiled accounts of the supernatural from official reports, newspapers, eyewitness accounts and travel writing, and this two-volume anthology of his collected data analyses the material, noting problems and inconsistencies. Volume 1 investigates the appearance of good and bad angels, magic among the Greeks and Romans, sorcerers and witches, and possession by demons. Volume 2 investigates tales of vampires and ghosts across many different European countries. Henry Christmas (1811-68) was a scholar of very wide interests and a fellow of both the Royal Society and the Society of Antiquaries. He wrote extensively about many subjects including philosophy, religion, literature, mythology and numismatics. 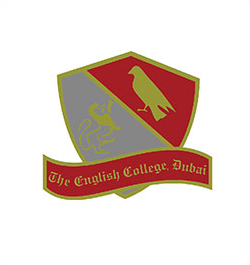 He was educated at St John's College, Cambridge, and soon afterwards became the librarian and secretary of Sion College. Between 1840 and 1860 he edited a number of books and journals, including The Literary Gazette. He also translated Calmet's Phantom World, and Wieland's Republic of Fools into English. Published in 1849, this two-volume set examines how popular mythology kept alive beliefs about the occult, alchemy and the paranormal. Volume 1 looks at astrology, dream-interpretation, magic and fantastical automata. Volume 2 considers witchcraft, mesmerism, fairy mythology, alchemy and ghosts. 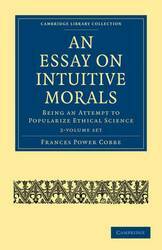 The work shows how elements of these beliefs came to be regarded as fact, and so influenced rational thinking. Henry Ward Beecher, a nineteenth-century American Congregationalist pastor and journal editor, was a renowned public speaker active in campaigns against slavery and for social reform. He was an advocate of the theory of evolution and firmly believed that Christianity should adapt itself in the face of change. 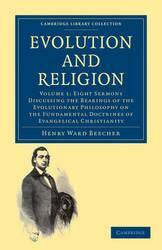 In Evolution and Religion (published in two volumes in 1885, two years before his death) he first discusses the implications of the 'new' evolutionary philosophy for various key Christian doctrines such as the divine nature, human sinfulness, the inspiration of the Bible, and divine providence, and then explores how evolutionism might affect the ethics and practice of Christianity. Beecher's charisma, enthusiasm and flamboyant oratory is evident even in print, and this book stands as a lasting testimony to this influential activist and thinker. It provides rich and enjoyable source material for historians of nineteenth-century science, religion and society. First published in 1896, this two-volume history of the conflict between theology and science was widely recognised, along with John William Draper's History of the Conflict between Religion and Science, as a defining study of the subject. A distinguished educator, scholar and writer, Andrew Dickson White was the first president of Cornell University. 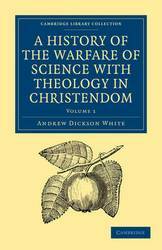 White held the view that religion was historically opposed to progress in the field of science. He argued that any interference on the part of religion in science had always proved disastrous, whereas scientific investigation, no matter how seemingly damaging to religion, had always resulted in the highest good. This book is the culmination of thirty years of research, publication and lectures by White. 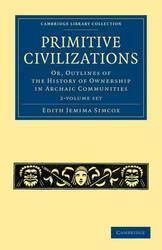 Volume 1 discusses creation, evolution, geography, astronomy, meteorology, ethnology and antiquity. Volume 2 discusses medicine, insanity, mythology, political economy and comparative philology. 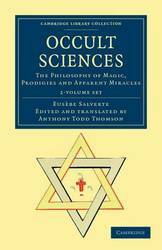 This examination of the connection between the belief in miracles and religious practices in ancient times was originally written by French politician and polymath Anne-Joseph-Eusebe Baconniere de Salverte (1771-1839) and published in 1829. In 1846, it was translated into English by a Scottish physician and writer, Anthony Todd Thomson (1778-1849), and published in two volumes. Thomson explains that Salverte's work was an important study of miracles and the power of priests, and he had 'performed a beneficial service in throwing open the gates of ancient sanctuaries'. However, Thomson also states that he differed from Salverte over the idea of the miraculous, and that he had expunged or heavily edited any passages relating to Christianity, even changing 'miracles' in the original subtitle to 'apparent miracles'. 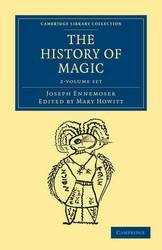 Volume 1 deals with human credulity and ancient beliefs in magic. Volume 2 discusses the role of drugs and poison in magic. Helena Petrovna Blavatsky (1831-91), writer, traveller and spiritualist, is well known for her role in nineteenth-century theosophy. Born in the Ukraine, Blavatsky travelled extensively and claimed to have spent seven years studying esoteric mysteries in Tibet. From 1863 she began working as a medium and later counted W. B. Yeats among her followers. 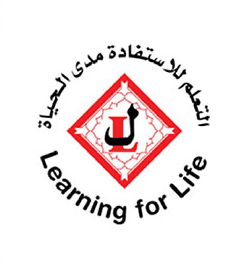 In 1875 she founded the Theosophical Society with Henry Steel Olcott. 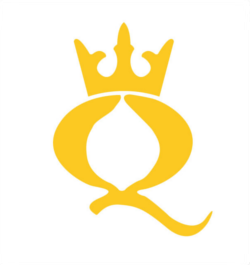 Influenced by Eastern philosophy and the Templars, Freemasons and Rosicrucians, the Society aimed to unravel the occult mysteries of nature. First published in 1877, this book outlines theosophy's precepts. The book is a mishmash of Hermetic philosophy, Christian history and Asian theology, and was allegedly dictated astrally from authorities including Plato, Solomon and Roger Bacon. 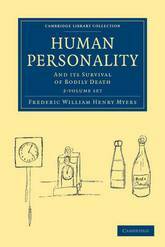 Frederic William Henry Myers (1843-1901) was a classical scholar who in mid-career turned to the investigation of psychic phenomena. After studying, and later teaching, Classics at Trinity College, Cambridge he resigned his lectureship in 1869, became an inspector of schools, and campaigned for women's higher education. With the encouragement of former colleagues he began a scientific investigation of spiritualism and related phenomena, and in 1882 he helped to found the Society for Psychical Research. This two-volume work, first published posthumously in 1903, contains the fullest statement of Myers' influential theory of the 'subliminal self', which he developed by combining his research into psychic phenomena with his in-depth reading about the latest advances in psychology and related fields. His deeply intellectual approach is evident throughout the book, which analyses a huge amount of interesting data on topics including dreams, trances, sensory automation and bodily possession. First published in 1896, this two-volume biography details the life of physician and spiritualist Anna Kingsford (1846-1888). 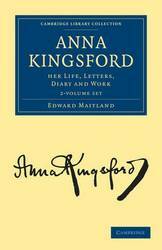 Kingsford, one of the first women to obtain a degree in medicine, began her literary career at the age of thirteen and in her lifetime was known for campaigning against vivisection, involvement in the suffragette movement, and promotion of vegetarianism, as well as her spiritualist exploits. This biography was written by her friend and colleague, the spiritualist Edward Maitland (1824-1897), who served as Kingsford's protector while she studied in Paris. At the time of its publication, the work was not well received, the main criticism being that it focused on Maitland's psychic experiences rather than on Kingsford herself. Volume 1 includes her early life and meeting with Maitland. Volume 2 covers their shared spiritualist experiences and involvement with the Theosophical and Hermetic Societies. Frank Podmore (1856-1910) published Modern Spiritualism in two volumes in 1902. It was the first comprehensive history of the Spiritualist movement. Podmore traces the historical development of Spiritualism from its earliest origins in animal magnetism and alchemy, to its apogee in the early nineteenth century and through to its decline from 1870 onwards, which Podmore associated with the growth of professional psychics and fraudsters. Volume 1 covers the key figures of the movement: Paracelsus, Mesmer, Bertrand, Esdaile, and Andrew Jackson Davis. Volume 2, focusing on English and American Spiritualism, sets the movement in its cultural and intellectual context and includes a discussion of the relationship of Spiritualism to science. Podmore was a leading member of the Victorian Society for Psychical Research and his work remains an indispensable source for the modern-day historian of nineteenth-century Spiritualism and occult practices. 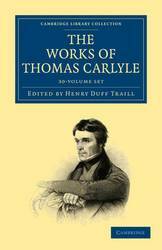 Thomas Carlyle (1795-1881) was one of the most influential authors of the nineteenth century. Eagerly studied at the highest level of intellectual society, his satirical essays and perceptive historical biographies caused him to be regarded for much of the Victorian period as a literary genius and eminent social philosopher. After graduating from Edinburgh University in 1814, he published his first scholarly work on German literature in 1824, before finding literary success with his ground-breaking history of the French Revolution in 1837. After falling from favour during the first part of the twentieth century, his work has more recently become the subject of scholarly re-examination. 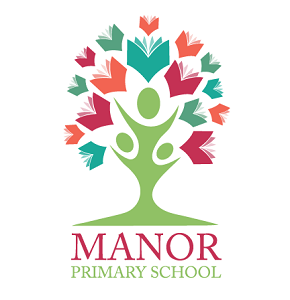 His introduction of German literature and philosophy into the British intellectual milieu profoundly influenced later philosophical ideas and literary studies. These volumes are reproduced from the 1896 Centenary Edition of his collected works. George Combe (1788-1858) rose from humble origins to tour widely in Europe and the United States, lecturing on phrenology, the popular Victorian belief that character traits were determined by the configuration of the skull. He founded Britain's first Phrenological Society in 1820 in Edinburgh, and was considered the foremost phrenologist of the nineteenth century. These volumes, first published in 1841, contain Combe's account of a phrenological lecture tour he undertook in the United States between 1838 and 1840. In the form of a journal, Combe describes the social and political institutions of the United States, and provides vivid descriptions of American society and customs. He also provides accounts of phrenological practice and the lectures he presented. 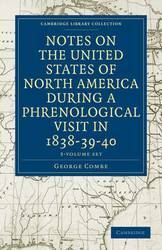 These volumes provide a wealth of information on nineteenth-century society in America, and invaluable details concerning the practice of phrenology.